Post-Production: Filming completed; editing of shot film; music composition and recordings, as well as sound and visual effects being added. 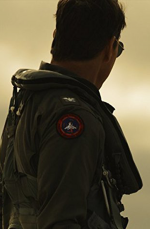 Ace pilot Maverick aims to show the relevance of good old fashioned pilots in today's high-tech, drone-centric war environment. 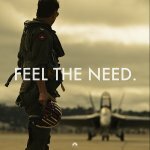 Top Gun 2: Maverick release date is set for Friday, June 26, 2020. This will be a Nationwide in theaters release. Sequel to the 1986 film. Val Kilmer has said he’d like to return for the sequel in the role of Tom “Iceman” Kazanski (Variety, 6/30/17). German composer Harold Faltermeyer, who created Top Gun's memorable synth score, will do the music (Hollywood Reporter, 6/6/18). Miles Teller will play the son of the Goose character (from the original film, played by Anthony Edwards) and Maverick’s new protégé (Variety, 8/22/18).